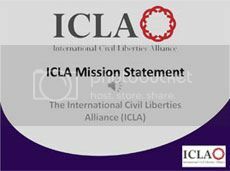 The International Civil Liberties Alliance (ICLA) will be represented at various points at the OSCE Human Dimension Implementation meeting that opens in Warsaw today. We are at a crucial juncture when fate of human rights as traditionally understood hangs in the balance. The continuing efforts of the Organisation of Islamic Cooperation (OIC) to undermine freedom of expression are the main threat to human rights in the world today. Since it is freedom of expression that guarantees the right to freedom of religion and not the other way around religious freedom is also in grave danger. To educate and inform the public so that laws that promote freedom are implemented and laws that hinder it are repealed. To emphasise the point that sharia compliance is against human rights and should not be embraced when human rights are being discussed. To encourage individuals, organisations, and institutions within the field of human rights —to consider rulings— such as that made by the European Court of Human Rights in 2003 that “sharia is incompatible with democracy”. To create a framework for politicians, academics, writers, journalists, NGOs, public bodies, and international organisations – to come together and stand up to protect liberty, democracy, and human rights. Historically the OSCE has played a role in historic events such as the ending of the Cold War. We hope it continues to play a positive role in helping to solve the problems of our own day. 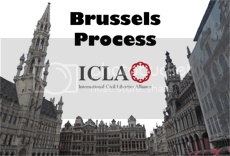 ICLA will play its role by engaging with the OSCE and doing what it can to protect freedom, democracy and human rights in the OSCE area. The current OSCE event in Warsaw runs from 24 September to 5 October. You can read more about the OSCE on its website, a document from the website that outlines what the OSCE is can be found HERE. We will publish more information outlining our work in relation to the OSCE conference in due course.